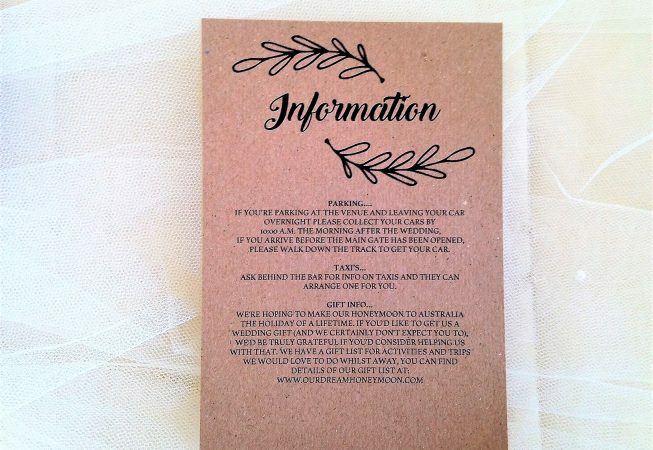 Wreath guest information cards match our Wreath Wedding Invitations. 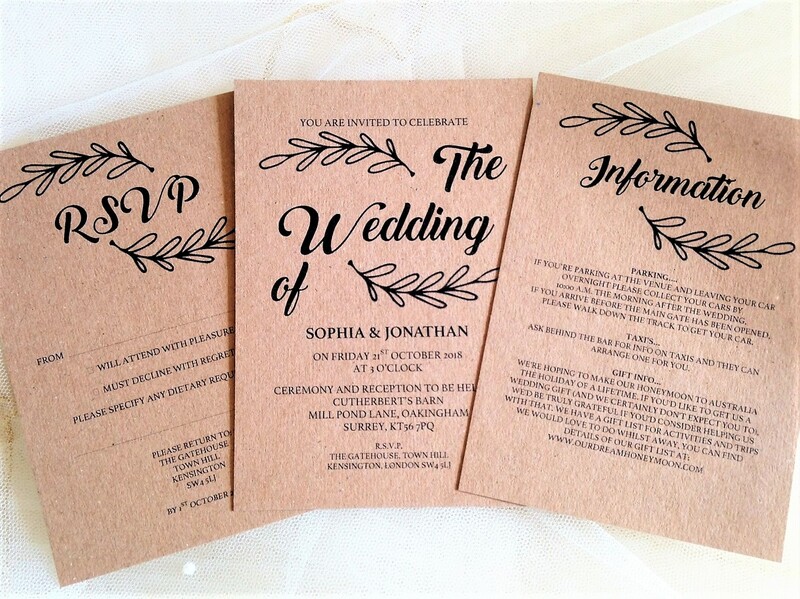 This style of wedding stationery is right on trend and the growing popularity of rustic weddings, barn weddings, woodland weddings and country weddings. 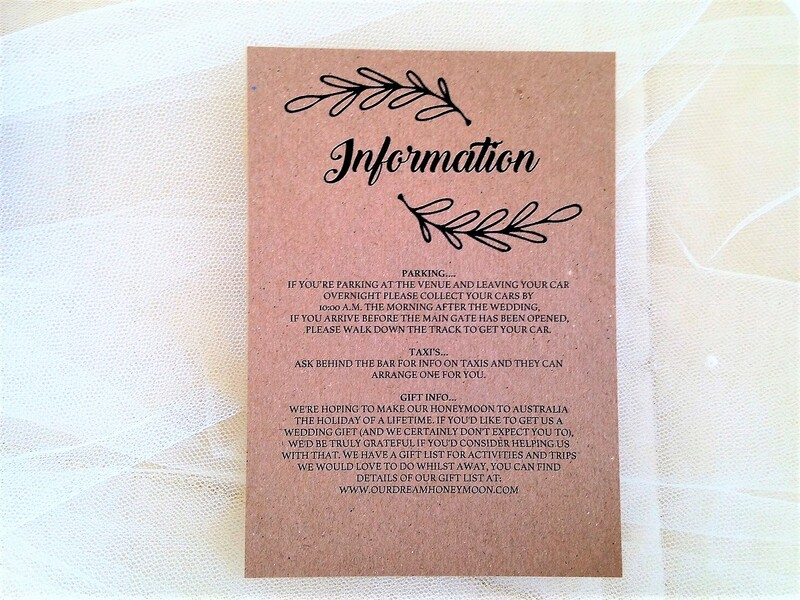 We also stock matching RSVP cards, menus, place cards and ceremony cards. Pease note: There is a different shade of brown on opposite side. We are able to produce cards in most languages. Please contact us to discuss, some of our typeface styles are limited to particular languages. We have short lead times, our printing is done in house. Cards can be ordered and supplied within a short timescale, usually 3-4 days for quick delivery in the UK.